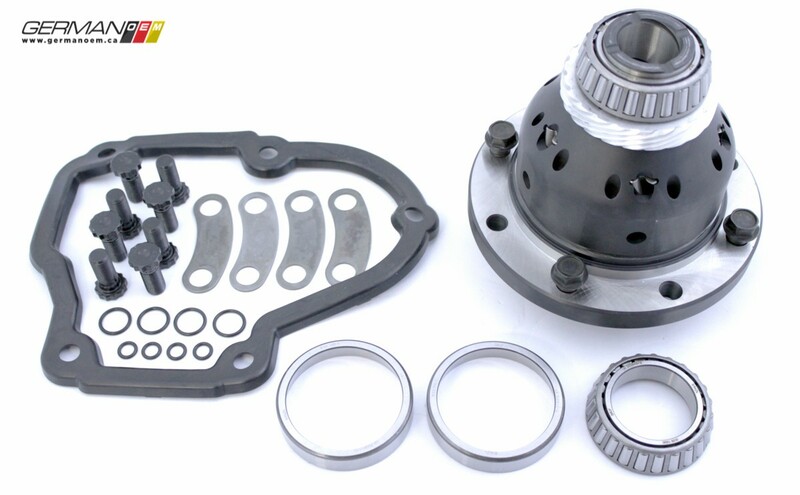 The Peloquin 02A Limited Slip Differential can be used in all VW VR6 and early Corrado transaxles. 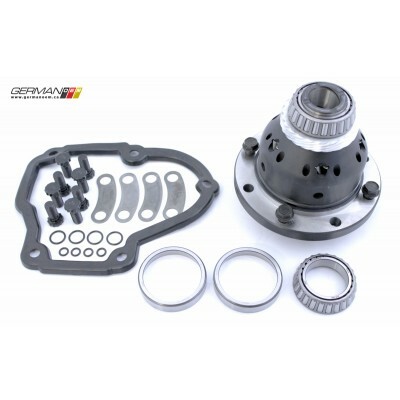 It comes with an installation kit that includes 2 bearings, ARP bolt kit, speedometer gear, o-rings, and side cover gasket. To be sure that this is the correct differential for your vehicle, please e-mail your VIN to us at info@germanoem.ca. If the transmission is not original to the vehicle, you can email us the transmission code instead, which can be found stamped onto the case. NOTE: Early Corrados may have smaller 9mm rivets holding the stock differential to the ring gear. If this is the case, it is recommended that the ring and pinion be upgraded to a later style version with 11.5mm rivets.